Transport is one of the few sectors in the EU where emissions are actually growing. Brussels believes that electric vehicle uptake is one of the main solutions to halt this trend, but what steps are actually being taken to decarbonise our roads? The Paris Agreement and air quality rules mean that Europe has to get serious about reducing the transport sector’s impact on the environment, if total cuts of 40% by 2030 are to remain feasible. Global sales of new electric vehicles topped a million units for the first time in 2017 but that milestone was largely driven by mass expansion in China, whose market is now larger than Europe and the United States combined. But Europe wants to keep up with the Middle Kingdom by making sure that there is enough charging infrastructure in place, consumers have access to a wide range of vehicle choices and the power behind the plug is as environmentally friendly as possible. The benefits of electrifying the sector are becoming clearer and recent figures compiled by Bloomberg show that EVs could reduce global oil consumption by 279,000 barrels a day, roughly equivalent to Greece’s daily oil needs. Electric buses account for 233,000 of those barrels. In order to provide the industry with the right legal framework, the European Commission unveiled its proposal on decarbonising cars and vans in November and last week presented a similar strategy to tackle heavy vehicles. Long-term planning up to 2050 will also have to take into account that growing EV use will increase electricity consumption from 0.03% in 2014 to an estimated 9.5% by mid-century, according to data provided by the European Environment Agency. Ongoing negotiations on electricity market rules, as well as energy efficiency and renewables legislation, will all be crucial to the EU’s efforts. Under the Commission’s first light vehicles proposal, average emissions for new cars will have to fall 30% compared to 2021 levels of 95g of CO2 per km. 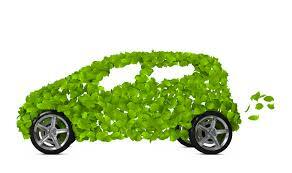 Incentives rather than targets will be offered to manufacturers to put more zero-emission vehicles on the roads. Commissioners Maroš Šefčovič and Miguel Arias Cañete both insisted in November that the proposal strikes the right balance but the Berlaymont’s efforts have still been widely criticised for lacking ambition. Influential MEPs Kathleen Van Brempt, vice-president of the S&D group, and Bas Eickhout (Greens/EFA) were among the most prominent voices to call for stricter targets now that the proposal is being scrutinised by Brussels lawmakers. Van Brempt’s Socialists managed to install Maltese MEP Miriam Dalli as the lead rapporteur and her draft report calls for a 50% 2030 target instead of 30%. But targets are not the only important aspect, as the fundamental way emissions are calculated is also up for debate. While the Commission is happy to stick with a method based on vehicle mass, there are calls for vehicle footprint to be taken as the main factor. That radical change, which would mirror the methodology used in the United States, has faced severe opposition from the car lobby, particularly Germany’s, as footprinting would be a disadvantage for manufacturers of larger vehicles. Truck emissions will be regulated for the very first time under a proposal that also employs a two-step approach to targets. The draft rules are intended to contribute to environmental targets but they are also meant to help boost competiveness, as the US and China already regulate trucks in this manner. Those two transport proposals are not the only way the Commission has attempted to decrease emissions and increase electric vehicle uptake. In a recently-adopted law on energy savings in buildings, the EU executive initially wanted to use renovations as a quick way to roll out charging infrastructure en mass. Ambitious plans to make chargers mandatory for parking spaces were heavily revised by the Parliament and member states and Cañete lamented that the EU would miss out on around 3 million charging points. MEP Bendt Bendtsen (EPP), who successfully rallied cross-party support to get the EPBD approved without any significant opposition, argued, ultimately successfully, that the file was about energy savings and that transport decarbonisation has its place in other legislation. The final text, adopted by the Council last week, means that member states only have to ensure that ducting and conduits are installed during renovations and new buildings. But many of the EU’s members are pressing ahead with their own EV plans. Germany’s EV market doubled between 2016 and 2017 and is now second only to Norway in Europe. Every second passenger car sold in the Nordic nation in 2017 was an electric vehicle. McKinsey consultants revealed in a new analysis that Norway has progressed to a stage where market disruption by EVs is inevitable while Sweden is just behind, showing “clear” signs. Other European nations like France and Germany are showing “detectable faint signals with lots of noise”, reiterating the fact that this is no passing fad. The UK’s National Grid unveiled plans last week for a roll-out of super-fast chargers along the country’s main motorways, which would require an investment of up to €1bn. Westminster is also scheduled to come up with its transport strategy soon. Central and Eastern European countries also want to join the electric revolution, although their market penetration is not at the same level of their Western European neighbours. Croatia, for example, boasts the Rimac supercar while Poland has launched a competition to come up with an entirely Polish-made EV. ElectroMobility Europe hopes the initiative will result in a vehicle that is cheaper than those made abroad, as Poland’s market is still hampered by a lack of affordable options. As the issue of the EU’s post-2020 long-term budget continues to be discussed, investors and utilities on 15 May called on Commission chief Jean-Claude Juncker to ensure that more money is allocated to zero-emission mobility. The group, which includes Aviva Investors, Eurelectric and E3G, urged Juncker to make zero-emission vehicles an “explicit objective” of the new budget and to prioritise investments that boost energy sector decarbonisation and renewable energy uptake. For now, the Commission and national capitals generally favour incentives as the main pathway to increase EV use, whether through direct cash payments or other financial benefits. In 2017, countries like Belgium, France, Germany and the UK offered incentives in the forms of grants, while Norway and the Netherlands [which included e-mobility as part of a recent coalition agreement], favour measures like reduced or eliminated ownership tax. Croatia and Poland, which in 2016 were among the few EU countries not to offer any incentive schemes, are now taking the plunge. Zagreb allocated more than €3.3 million in grants in April, while Poland’s electromobility act, adopted in February, has plumped for measures that include abolishing excise fees instead. But it’s not just Europe, the US and China that are interested in EVs. Last week, India announced a massive €1 billion draft package of incentives that hopes to increase electric two-wheeler use and help electrify the taxi industry. Everyday citizens will also be able to take advantage of the proposed scheme, provided they scrap their existing combustion-engine car. Last year, India’s energy ministry insisted that every car on the road in 2030 would be electric, in order to combat an escalating health crisis caused by excessive levels of air pollution. Armenia also has grand plans to embrace e-mobility, although its ambitions are still not in a very advanced stage. The South Caucasus republic boasts immense renewable energy potential in the form of solar and hydropower and is keen to exploit its enviable position. Deputy Energy Minister Hayk Harutyunyan told EURACTIV that another factor working in Armenia’s favour is the existing mindset of the country’s motorists, who are accustomed to using natural gas in their vehicles. As one of the biggest users per capita of natural gas converted cars, Armenians are already used to longer fuelling times and planning journeys according to where they can top up their tanks. Harutyunyan added that it is now just a case of getting the right tax and incentives systems right, which, he explained, would be a job for the country’s new government that recently took power.